What’s new with the Critter Gitter? 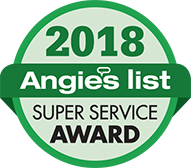 Angie’s List®, a leading online review platform, has named this year’s winners of the coveted Angie’s List Super Service Award. 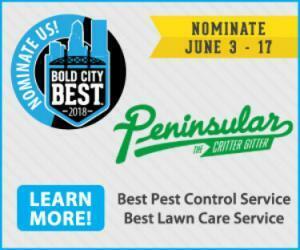 Peninsular Pest Control Service, Inc. is proud to announce that they have yet again won the Super Service Award in two categories: Pest Control/Exterminating and Lawn Fertilization & Treatment. This is the 8th year in a row that The Critter Gitter has received this award! The Super Service Award honors service professionals who have maintained exceptional service ratings and reviews on Angie’s List in 2018. This year’s list of winners also contains many multi-year recipients. Thanks to all of our loyal customers who took the time to submit a review of our business and customer service. Roof rats are invading homes across the First Coast. Roof rats are invading homes across the First Coast. George Richardson, Technical Director for Peninsular Pest Control, is called upon by WTLV to give his advice on roof rats. Lubber Grasshoppers wreaking havoc in local yards! The recent heavy rain is drawing out large grasshoppers in the Jacksonville area. George Richardson of Peninsular Pest Control said the insects, known as lubber grasshoppers, can be a real nuisance. “They can be kind of menacing because they can be up to three inches long they’re quite ugly and look like little monsters,” Richardson said. Richardson said they’ve been busy lately because of the bugs. We found a cluster of them feasting on a large plant’s leaves near Commonwealth and McDuff. “They like the succulent type of lilies,” Richardson said. 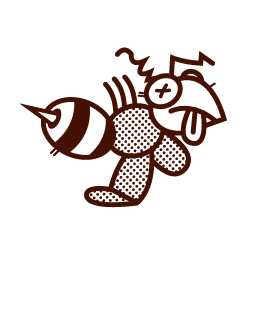 The best way to get rid of them is to treat them soon as they hatch, which is usually in March and April; otherwise they have to be grabbed one by one. “Take them off the leaf put them in a bucket and in the bucket we recommend to either have rubbing alcohol or soapy water,” Richardson said. 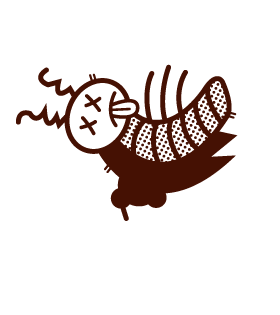 The liquid will asphyxiate the bugs. The University of Florida’s commercial horticulture agent Erin Harlow has found another use for the critters. “We do use these grasshoppers for our bug camp every summer,” Harlow said. Kids will be dissecting the grasshoppers for a hands-on science lesson. “I thought maybe they’d be a little squeamish last year, but they did really really well I mean they’re just really cool bugs,” Harlow said. Camp “Incredibugs” runs July 16-20 for ages 11 to 18. 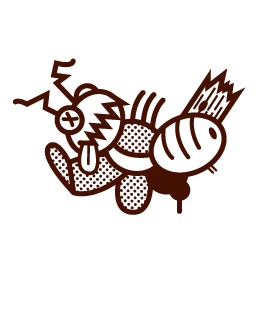 It’s $100 or FREE if the camper submits an essay (preferably handwritten, around 500 words) about an insect or group of insects and what makes them incredible. 2018 Bold City Best voting has begun! Nominations for the Bold City Best! 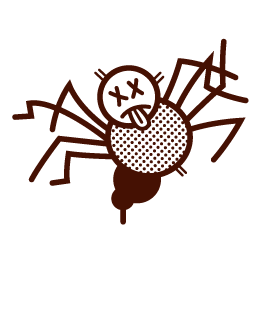 JACKSONVILLE, Fla.—Just looking at bed bugs is enough to get your skin crawling, but the creepy critters could easily become your reality as you get ready to pick up and pack up for the holidays. Connie Wolfe, of the Clay County Health Department, said health officials have received twice as many calls on bed bugs this year. “We’re seeing an increase in car travel due to the price of air travel, so people are traveling more up and down the streets and into hotels,” Wolfe said. “They may not know it, but they may have one of these bed bugs hitchhiking a ride to their next destination.” Those destinations include private homes, which is why Wolfe said it’s important to be proactive. George Richardson, of Peninsular Pest Control, suggests that travelers keep all of their items in their luggage. He said to check sheets and mattresses for small brown spots because that’s the trail bed bugs tend to leave. “Any crack that the bed bugs can, they can get in and they can get in your home,” Richardson said. “One female can lay up to 12 eggs a day.” Richardson said bed bugs aren’t just attracted to furniture or other belongings, they’re also attracted to people. In fact, bed bugs like to be within eight feet of people, he said. So if you come across bed bugs, Richardson suggests putting all of your items in a clear plastic bag like so you can see the bugs. He said to wash clothes in hot water—over 110 degrees—to get rid of the bed bugs. 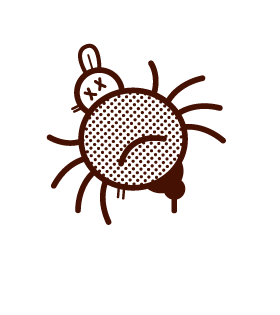 And if you’re bitten, use an anti-itch cream If you have any questions about bed bugs and how to dispose of them, contact a professional. Copyright 2010 by News4Jax.com. All rights reserved. This material may not be published, broadcast, rewritten or redistributed. Did you see the NEW Home and Garden Calendar that was just released by The Florida Times Union? GREAT Gardening tips and Home Events! The cold temperatures have begun to slow down the growth of many lawns. In an effort to provide the proper nutrient level in your lawn and to help reduce the stress caused by low temperatures, we will be making an application of Liquid K (liquid potassium) on this final Turf Quality Management (TQM) treatment for 2014. This application will also include spot treating for weeds and disease as needed. The term “winterizer” means different things to different people. However, potassium is the nutrient needed by the lawn at this time of year and this is our “winterizer” fertilizer application. Potassium fertilization at this time of year promotes root growth and thicker cell walls without promoting plant growth. This strengthening of the root system will improve your lawn’s ability to handle the stress of cold temperatures during the winter and provide the proper foundation for a healthier lawn in the spring. Please water in this application. We have had many calls regarding scale insects on shrubs in the past few weeks. Due to the amount of active scale we are now beginning our Winter Pro Shrub treatment. This application contains Horticultural oil to help control many shrub damaging insects. If you are planning to do any landscaping at this time please consider the change in weather. Some of our commonly used ornamentals are not able to tolerate freezing temperatures. With colder temperatures the plants may require extra care such as protecting from frost with frost cloths or blankets. Most warm season grasses, such as St. Augustine Grass, have poor cold tolerance ratings. In North Florida lawns will go dormant or semi-dormant during the winter depending on the temperature. If we have several cold nights and cooler temperatures during the day followed by light frost, the lawn will be conditioned to survive. However, when sudden or extended periods of low temperatures and heavy frost occur, the damage to St. Augustine lawns can be severe. Cultural conditions that favor cold injury to turf include: poor drainage, compacted soil, excessive thatch, excessive nitrogen fertilization, and mowing to closely. 1. Winter Watering – lawns require less water in the winter than during summer. DON’T STOP WATERING however because the root systems still need adequate moisture. One application of 3/4 inch every 7 to 14 days should be sufficient if we do not receive adequate rainfall. If the lawn receives more than this amount of water, diseases such as a Large Patch may develop. 2. Mowing – mow at a height of 3 to 4 inches to create longer leaf tissue and heavier canopy for a warmer microenvironment for the roots. This will encourage root growth. 3. Thatch – lightly rake out heavily thatched areas and add 1/4 to ½ inch of topsoil before winter cold arrives. Doing so helps to prevent the roots/runners in this area from freezing. 4. Soil Compaction – Call and arrange for our Lawn Aeration Service. To learn more go to our YouTube channel. 5. Fall Lawn Renovations – any sod or plugs that were put down in the last several months will require extra TLC as their root systems will be shallow and more susceptible to cold injury. If possible wait until Spring to repair any damaged areas as the money and time you spend now will be wasted by damage from the cold. 6. During a Freeze – Don’t water the lawn during a freeze this may do more damage and cause ice to form on sidewalks creating hazards. Keep off any turf that has Frost or is frozen, traffic from people, pets, or equipment like lawnmowers can cause severe damage. Wait until the sun thaws out the grass. we are currently providing our annual lawn aeration service to help with nutrient uptake and compaction issues along with many other benefits. We will begin to provider annual lime application in January. This application helps to adjust the pH of the soil to maximize usage of nutrients within the grass plants. 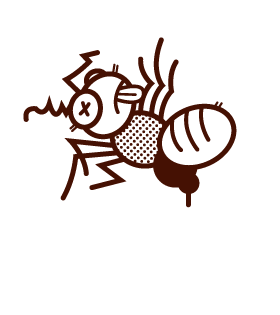 GAINESVILLE, Fla. — Termites that feed on a well-known bait for one day are eventually doomed, which is good news for those who want to protect their property from the destructive pest, a University of Florida entomologist says. Within 30 days of that first day of feeding, the bait significantly weakens termite colonies, said Thomas Chouvenc, a UF/IFAS assistant professor of entomology and lead author of a new study. After 90 days, the insecticide kills the termite colonies, Chouvenc said. This process is far shorter than scientists originally thought, he said. In the study, scientists used an insecticide called a chitin synthesis inhibitor (CSI), used in the Sentricon termite baiting system, which was invented by UF/IFAS entomology professor Nan-Yao Su. CSI has been an established termite killer for more than 20 years, but until now, scientists didn’t know how long termites had to eat the bait to be killed. For their study, Chouvenc and Su raised colonies in their laboratory for more than four years. 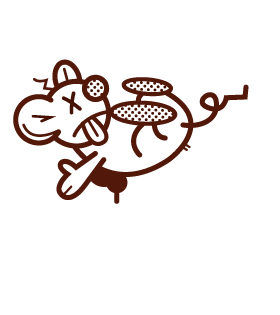 That way, they could expose the CSI bait to whole colonies, while monitoring the termites. Researchers kept the termite colonies in large containers in the laboratory and let them feed on CSI baits for one day. After a day, scientists removed the bait and monitored termite deaths for 90 days. That’s when they found the dead termite colonies. The study’s findings come as helpful news to anyone who wants to protect their home or business from the pest, say UF/IFAS entomologists. Termites cause huge economic costs to society — as much as $40 billion dollars per year worldwide, according to UF/IFAS researchers. Half the structures in South Florida will be at risk of infestation by subterranean termites by 2040, UF/IFAS entomologists estimate. 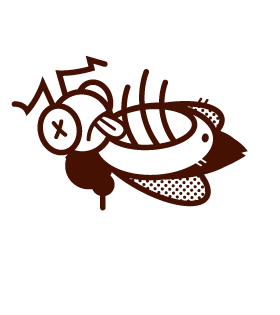 In addition to killing termite colonies in less time, scientists showed they need tiny amounts of the active ingredient in the insecticide to kill them, said Chouvenc, who along with Su, is a faculty member at the UF/IFAS Fort Lauderdale Research and Education Center. The study by Chouvenc and Su is published in the Journal of Economic Entomology.